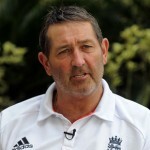 England is currently visiting India and they have played three Tests in the four match series. The visitors have an edge while beating the home side twice as compared to one defeat and they lead the series 2-1. The present English squad is in great touch and will go in the final Test at Nagpur with positive approach to win the series convincingly. India, making use of their abilities, will have to fight well to bounce back, by winning the last match of the series. The hosts started off well and defeated the tourists by a huge margin of nine wickets on November 19, 2012, at Sardar Patel Stadium, Motera, Ahmedabad. Engalnd had no answer to the deadly spin bowling of India and surrendered twice to the unplayable spin duo of Pragyan Ojha and Ravichandran Ashwin who grabbed 13 wickets in two innings. England re-equipped them and surprised India by winning the second Test with a vast difference of 10 wickets on November 26, 2012, at Wankhede Stadium, Mumbai. 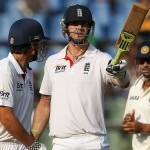 Kevin Pietersen and Alastair Cook thrashed tons as Monty Panesar and Graeme Swann spun the rival batsmen by clinching 19 wickets. The visitors strengthened their position by grasping the Third Test by seven wickets on December 9, 2012, at Eden Gardens, Kolkata. Alastair Cook, the skipper of England, led them from the front by plundering 190 runs well supported by Jonathan Trott, Nick Compton and Kevin Pietersen who contributed vital fifties. The Indian batsmen looked demoralized and were bowled out twice by the devastating combination of spin and fast bowling of England. The tourists went on to win the match by seven wickets and led the series 2-1. India has faced a similar situation in the three Test home series against South Africa. The first Test between the two countries ended in a draw on March 30, 2008, at MA Chidambaram Stadium, Chepauk, Chennai. The Proteas led by Graeme Smith won the second Test by a big margin of an innings and 90 runs on April 5, 2008, which was the third day of the match. India was bowled out cheaply for a 76 mere runs followed by 328 in the second as South Africa amassed 494 runs in their first innings. 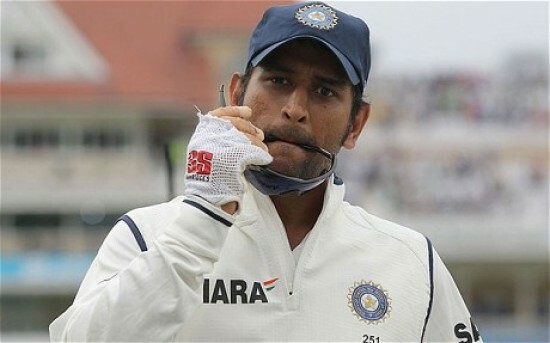 The Indian team under the leadership of MS Dhoni triumphed in the third Test by eight wickets on April 13, 2008, at Green Park, Kanpur, as the series concluded at a 1-1 draw. The much awaited fourth and final Test vs. England will commence from December 13, 2012, at Vidarbha Cricket Association Stadium, Jamtha, Nagpur. 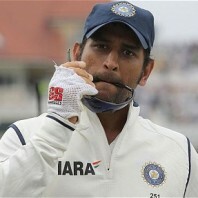 MS Dhoni needs a spirited support from his team mates to level the series by winning the match.